Your Stafford was bred for fighting, rat-catching and badger-baiting. 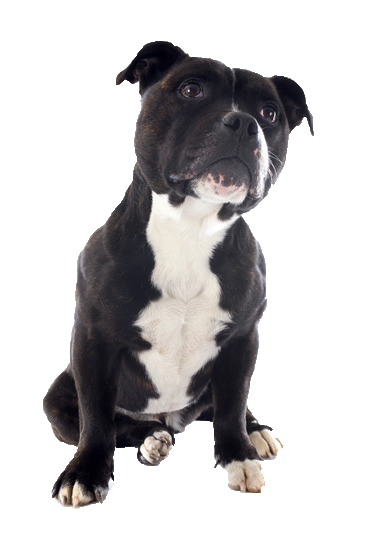 The breed became popular because of its courage and relationship with people, especially its affinity with children, earning it the nickname 'the nanny dog’. He will have a powerful jaws and strong teeth and need to chew in order to keep them in top condition. To avoid damage to your belongings make sure you provide him with appropriate objects to chew. Here at Chelsea Dogs we have hand selected the best variety of chew toys to keep him occupied.